Mousesports announced its new Counter-Strike: Global Offensive roster Thursday​. 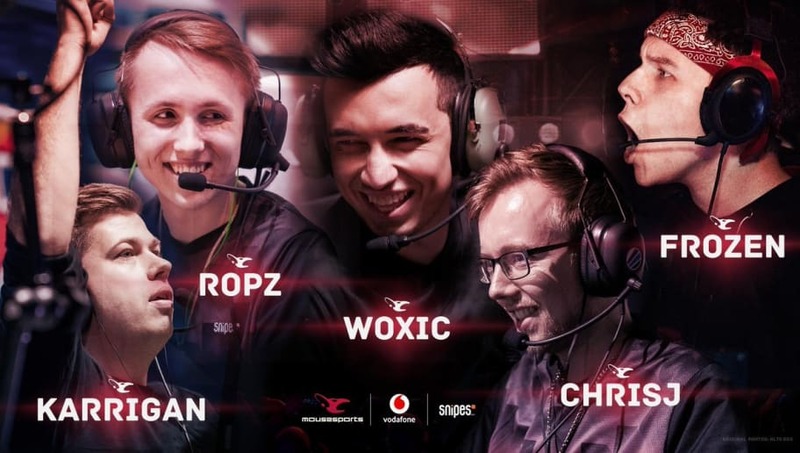 The final ​CS:GO roster includes mousesports veterans Finn "Karrigan" Andersen, Chris "ChrisJ" de Jong, and Robin "ropz" Kool alongside newcomers Özgür "woxic" Eker and David "frozen" Cernansky. Karrigan's move to the team was widely expected following ​reporting published March 4 by Dexerto. ChrisJ remaining on the roster was more surprising. Despite having played for the team for more than five years, the player was ​removed from the active lineup over a month ago. At the time, mousesports did not include him in the list of players it planned to retain in the coming year. Woxic joins the team after proving himself a rising star with HellRaisers. Frozen achieved a similar status while playing for NoChance. Finally, the lineup confirms Miikka "suNny" Kemppi will need to find a new team following reports that he'd been in touch ​with both Cloud9 and ​ENCE as potential homes. Neither team has yet to sign him.